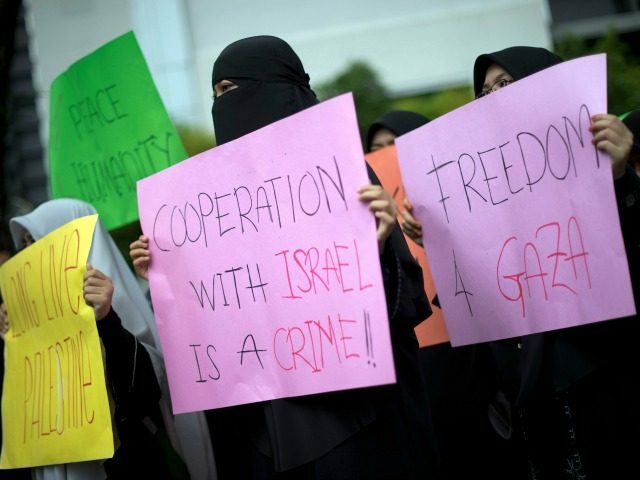 TEL AVIV – In a shameful display of rogue diplomacy, 72 countries – minus Israel – are set to attend a Middle East “peace” conference in Paris on Sunday widely expected to set the parameters for a future Palestinian state. Fresh from his 70-minute speech two weeks ago largely singling out Israel for condemnation, lame-duck Secretary of State John Kerry will represent the U.S. at the Mideast confab. There, Kerry is slated to represent the Obama administration in crafting a “consensus” document on an Israeli-Palestinian deal. This after a U.S. abstention last month allowed the passage of a United Nations Security Council Resolution calling the West Bank and eastern Jerusalem “occupied Palestinian territories,” and demanding a halt to Israeli construction in those areas. Earlier this week, Prime Minister Benjamin Netanyahu rightly described the Paris summit as a “rigged” effort aimed at inflicting damage on Israel. The Paris onslaught may not be the end of it. Two weeks ago, Breitbart Jerusalem cited a senior PA official saying the PA has been in contact with the Obama administration and European countries about the possibility of taking more UN action based on the outcome of the Paris conference. He said the UN action would seek to set the parameters of a future Palestinian state with a clear timeline for negotiations. If the action comes in the form of a resolution at a UN body, it could call for an infrastructure to establish mechanisms to enforce last month’s UNSC resolution. The process of using international mechanisms to pressure Israel can only be viewed through the lens of a diplomatic assault on the Jewish state. If the Palestinians wanted a state, they would not have to resort to introducing anti-Israel resolutions at the UN. Israel has offered the Palestinians a state in much of the West Bank and Gaza Strip with a shared capital in Jerusalem numerous times. These offers were made at Camp David in 2000, Taba in 2001, the Annapolis Conference in 2007, and more offers were made in 2008. In each of these cases, the PA refused generous Israeli offers of statehood and bolted negotiations without counteroffers. The PA has failed to respond to Prime Minister Benjamin Netanyahu’s unprecedented attempts to jump-start negotiations aimed at creating a Palestinian state, including freezing Jewish construction in the West Bank and eastern Jerusalem and releasing Palestinian prisoners.